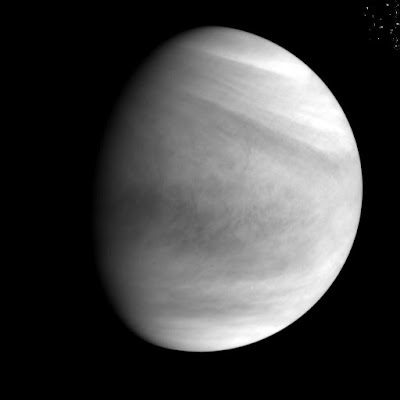 The Japanese space agency successful commanded their Akatsuki probe into an elliptical orbit around Venus after a failed attempt in 2010. It worked! This excellent news was shared in a SpaceFlightNow article. JAXA continues to refine parameters and software and will begin the full campaign in April. The image above was captured with the ultraviolet camera took at a distance of 73,000 kilometers.